Furnace filters come in many sizes! The length and width of the filter varies due to the size of the system’s filter compartment, and doesn’t really affect efficiency. 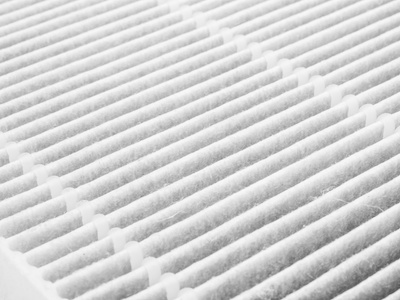 The thickness of a filter does impact its efficiency and ability to remove contaminants. Many homes and businesses in Lexington use standard 1” media air filters – this isn’t the best option when it comes to air quality and HVAC system efficiency. When comparing a 1” filter to a 4” filter, you’ll find using a thicker filter has several advantages. All filters have a MERV rating, which marks the filter’s efficiency at removing contaminants from the air supply. Both 1” and 4” filters are available with a range of MERV ratings – you’d think that a 1” and a 4” filter with the same MERV rating would act the same, right? Nope! In this case, the 4” filter is actually the more efficient option! A 1” filter’s material becomes clogged with contaminants quickly, reducing air flow through the HVAC system while eliminating effective contaminant removal. A 4” filter provides more surface space to trap contaminants, facilitating proper air flow and continual contaminant removal. With more surface area to trap airborne contaminants, a 4” media air filter offers a longer service life than a 1” media air filter does. 4” filters last longer because they do not become clogged as quickly. Less filter changes means less money spent, and convenience. Regardless of filter thickness, home and business owners should still regularly inspect their filter to ensure it has not become full of contaminants. The filter manufacturer will provide information as to how frequently the filter should be replaced. Filter compartments are designed to house a specific sized filter. If your HVAC systems currently operate using a 1” filter, a 4” filter will not be able to fit the existing cabinet. Your HVAC technician can provide a new filter compartment or alter the existing one to house the thicker filter. This upgrade is money well spent, which will improve indoor air quality and work to alleviate the burden placed on your HVAC systems by clogged air filters. Gain the efficiency and improved air quality a 4” media air filter provides in your Lexington home or business. Contact Climate Control today to upgrade your filter! Have You Changed Your Lexington Air Filter Lately?